This App is a useful tool for translating and studying the fascinating language of Horace and Cicero. 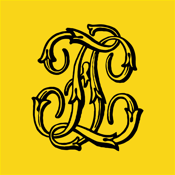 The App contains all the entire text of “il Latino”, Latin dictionary by G.B. Conte, E. Pianezzola, G. Ranucci, published by Le Monnier, and includes an integrated search engine for the grammar inflections (cases and verbal forms) allowing the user to trace the correct term given its declination or conjugation. • Complete declination of all adjectives, nouns and pronouns. • Meaning of the main abbreviations used in the dictionary, appearing upon tapping on the corresponding short form. • The “Verbum movere” gadget, which shows – upon start – a random selection of a term of the dictionary. “il Latino” combines the usual scientific thoroughness with an overhaul of the graphics and learning aids in order to facilitate students consulting the work. It is a valid help when translating, thanks to its wealth of quotations and examples. INTERNET CONNECTION IS NOT REQUIRED,BROWSABLE OFFLINE. IN CASE OF RE-INSTALLATION OF THE APPLICATION NO CHARGE WILL BE MADE.